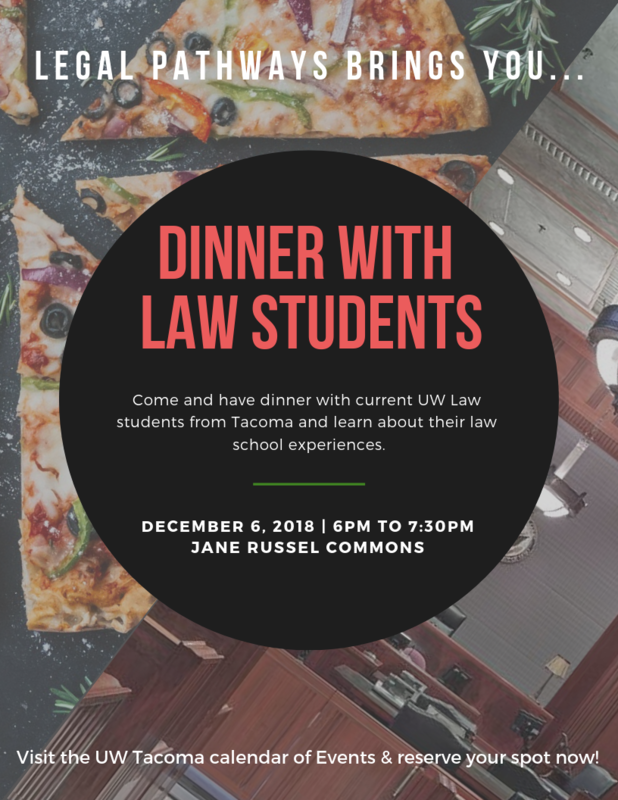 Thursday, Dec. 6, 2018, 6 – 7:30 p.m.
Come and have dinner with current UW Law students from Tacoma and learn about their law school experiences. This is your chance to ask questions and to make connections with students currently attending law school. If you are just thinking about law school, or are sure that this is your path, this is not an event to miss! Pizza and soft drinks are provided for UWT students attending.